When duty calls the CX Urban Interface Coat will keep you protected and comfortable day in and day out. Everything we put into the CX Urban Interface Coat makes your job safer and easier. A full front YKK® zipper with fire-storm flap provides easy on and off. Back pleat provides excellent mobility while an aggressive cut provides unparalleled fit. Soft and lightweight FR fabric provides unmatched comfort along with excellent moisture management. 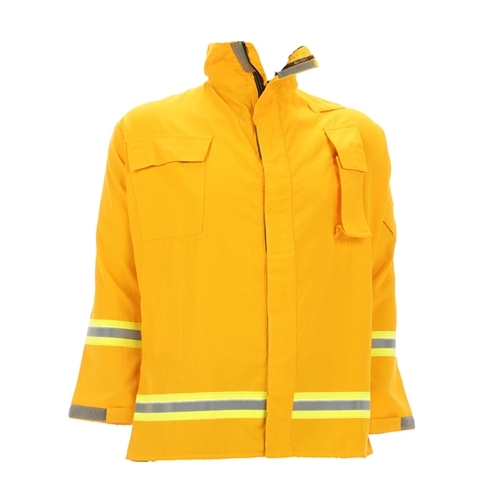 Bar tacked and stitched with high-quality Nomex® thread makes this UI Coat a piece of equipment you can depend on. Total Weight (Size: XL): 27 oz. / 0.77 kg.